The door handle is typical of the Art Deco era from 1920-1939, which is often defined as a luxury style that was popular among the 20's and 30's intellectual upper class in France and the United States. 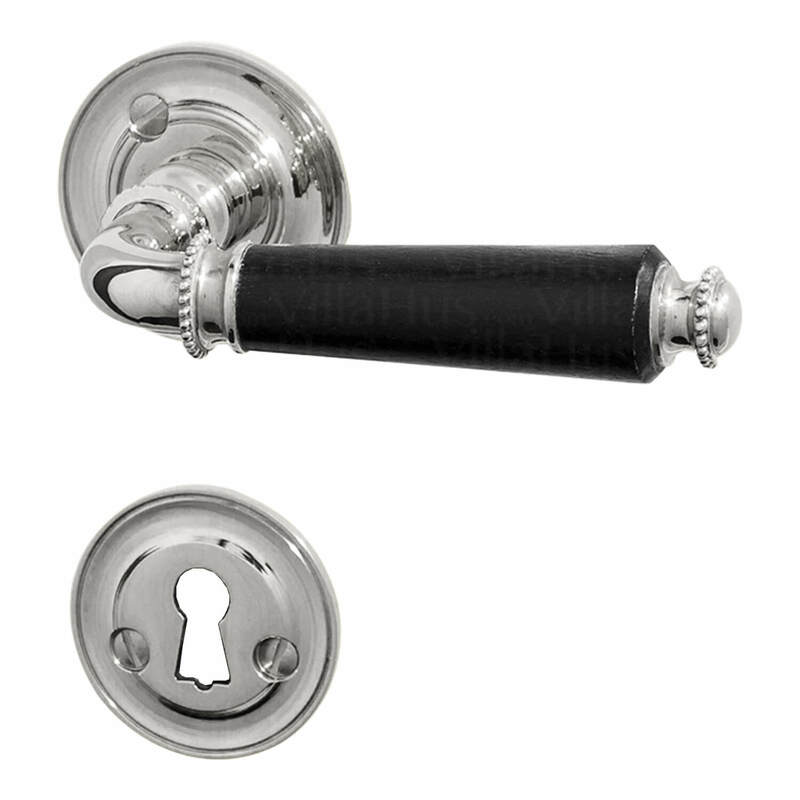 The door handle is made of shiny, nickel-plated iron and has a handle of black wood. 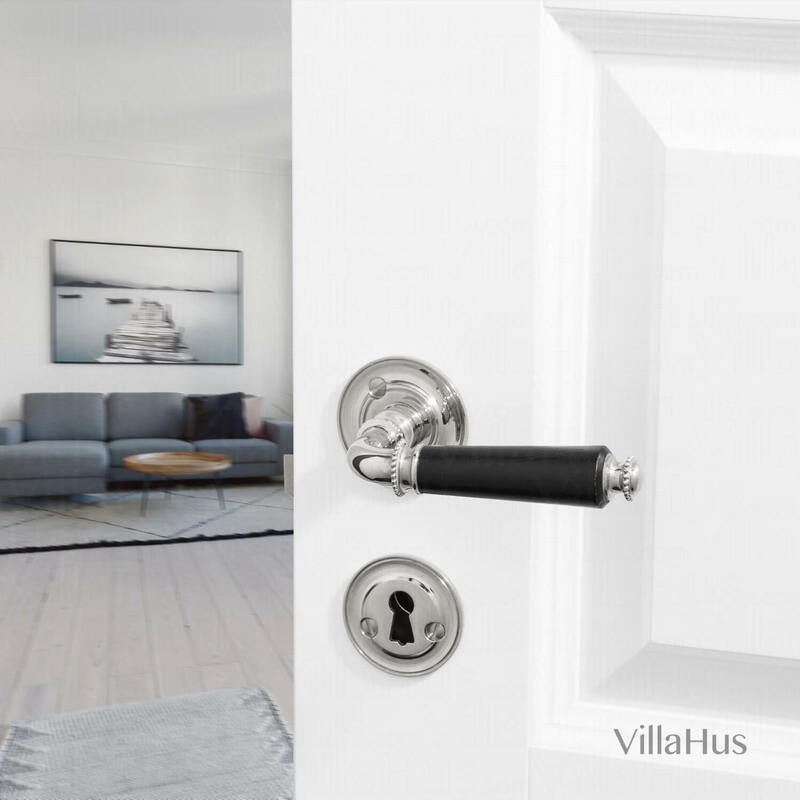 The door handle fits both new and older doors. Remember for new doors to Buy woodwork.